This week, I chat with author Carol Hansen. 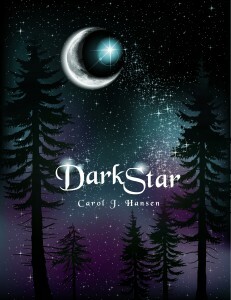 From her blog: Carol J. Hansen has always had a passion for reading and her intrigue with the mystical aspects of life, whether real or fantasy, are what motivated her to write DarkStar, her first novel. Setting and accomplishing goals are a big part of Carol’s life and DarkStar is the result of her latest goal. The strength in her story comes from her understanding of what the youth like and how they think. Raising three children, being active with and observing the youth for many years gives her an advantage as she has the ability to combine her knowledge with a vivid imagination and come up with a believable fantasy laced with mystery, gripping drama and an unforgettable love story. Carol has worked in the cosmetology industry as a stylist, educator and salon owner for many years and enjoys it immensely. She loves traveling and anything that has to do with the outdoors, especially camping and riding four wheelers. The most important aspect of her life is her family and she resides in Utah with her husband and has three married children and five beautiful grandchildren. Darkstar is the story of an ancient obligation, a reluctant wizard who despises having it forced upon him, a mystical romance full of passion, mystery and intrigue and a conflicting power struggle haunting two magical brothers. DarkStar is the first novel of a trilogy and the epic will continue in the much anticipated; Wizard. ANTHONY: Hi Carol! Thanks for sitting down to chat with me for a little while. Tell me a bit about the process of writing DarkStar. Where did the idea for the book come from? CAROL: When I was in high school my friends and I had nicknames and a symbol. A special friend gave me the name of DarkStar and my symbol was the moon and star. I have carried the name in my heart and collected moon/star symbols for years. I always thought that it would be an awesome basis for a story or a movie, but little did I know that I would be the one writing the book! With the title, “DarkStar,” I knew the genre would be fantasy and I chose the storyline to be about a wizard, not because of the popularity of them, but because my friend’s nickname was Wizard. It just felt right. ANTHONY: How long did it take to go from your original idea to a finished manuscript? CAROL: The night I began DarkStar was the first of July, 2008. My manuscript was written by October but the editing and re-writing took until spring 2009. Since I was new in this crazy literary world, I had no clue where to even begin and I learned that you can waste a lot of precious time trying to figure everything out. Of course, I’m sure you never figure everything out because things are changing too fast. It’s all part of an ongoing process and I’m learning so much. I know there are a lot of things I will do differently with “Wizard,” the second book in the sequel– because of what I have learned. We’re so lucky to have the internet and so many channels we can turn to for information and help. It has given me a whole new appreciation for authors from the past. How in the world did they write without all the technological advancements we have today? I bow to them. ANTHONY: You’ve got quite a bit going on at the center of the novel. A reluctant hero who just wants his life to be normal. Deadly sibling rivalry. Family commitment and honor. Forbidden love. How did you keep all these strands organized as you wrote? Are you a detailed outliner or a “see where the characters take me” kind of writer? CAROL: It’s interesting how easy it was for me to keep all of the strands in my book organized, especially because this be my first novel. I am, by nature, an organized person, I have to be with everything I’m involved in, but as a writer, I think I’m a little of both. I’m definitely not a detailed outliner, knowing the specifics of everything; I don’t know how you could be with this type of a book. A good analogy; it’s like raising a child, you bring them into the world and give them a direction and a path to follow, but once they leave, even with your guidance, they’re gonna decide what’s going to happen. While writing DarkStar, I knew some of the things that I wanted to happen and some that “needed” to happen but then, (like a child) unexpectedly a character goes and does something that is totally unexpected and you have to stop and re-group. You pretty much have to go back and adjust the story so that everything will fit. It’s really kinda cool when it happens. I chose the Cache Valley in Utah as one of the settings for DarkStar, knowing I needed somewhere magical and mystical for Alec to experience the events that were going to take place. Since I’m acquainted with that area, I was aware of the locations certain things would happen. In that aspect, I did have an outline but I wasn’t sure of the sequence until the story was being written. I actually visited the sites and wrote while I was there so my characters were familiar with them and so I had an accurate picture in my mind. ANTHONY: Tell me a bit about writing your two central characters, Alex and Amrie. How did they develop in your mind, and did they change at all once they were on the page? CAROL: I love Alec and Amrie. It is an amazing experience exploring characters and selecting the distinct qualities and characteristics that make them each unique individuals. I am amazed at how personal it is and how protective you become of them–and I am very protective of Alec and Amrie. I knew that as I developed them, since they were both dealing with their own struggles in two very different parts of the world, they would have to have compatible personalities and something amazing that would bring them together. DarkStar is written from both Alec and Amrie’s perspective. Alec is being forced into a magical world where he detests becoming a wizard. Amrie is a very strong, independent girl who is mature beyond her years and the caretaker of everyone she cares about. Their worlds intertwine as she curiously witnesses his struggles with peculiar powers and they find comfort and strength in each other as they try to figure out the strange but definite connection that bonds them together. My favorite subject to write is Alec. I love helping him try to figure everything out and I especially like creating the communication between him and his wizard grandfather. Alec and Amrie didn’t change once written, they only became stronger. 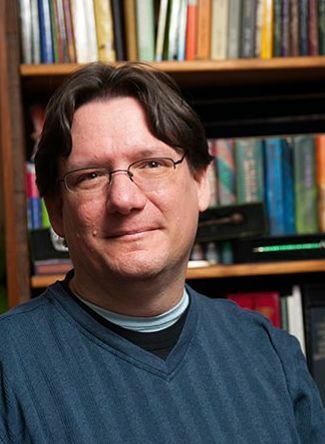 ANTHONY: You’ve already announced that DarkStar is the first in a trilogy, and that the second book, Wizard, is on its way to completion. Do you have the full details of all three books plotted out, or are you allowing the story to grow and change? ANTHONY: You self-published DarkStar through CreateSpace. Tell me a bit about that experience and process. ANTHONY: You also connected with singer-songwriter Matt Lande and he’s created special music (three songs so far) for the book. How has that process been, and where and when will people be able to hear the songs Matt created based on the novel? Next summer, we will be going to where DarkStar takes place, Logan, Utah and Matt will make the music video in some of the locations in the book….so cool! Matt is in the process of recording his second album, an acoustic called, “Welcome Home the Child.” I feel so fortunate that he took time out of his busy schedule to read, DarkStar and write three songs or me. He writes, arranges, produces and records all of his own music…so multi-talented! Joining forces with Matt has been an amazing experience. This joint venture has proven lucrative for both of us as we are promoting each other along with our own projects. 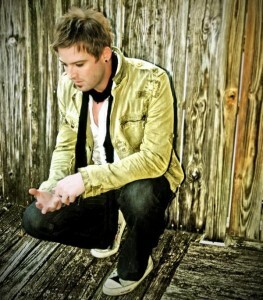 Matt is scheduled to do an acoustic concert on February, 15, 2012 in the Eccles Theatre on the Snow College campus in Ephraim, Utah. He will be promoting his new album, “Welcome Home the Child,” and will debut our “DarkStar” songs! We have our fingers crossed that the recording will be done so the music will all be available at that point. You can follow my blog; http://dscarol78.blogspot.com for updates and information on my venture with both DarkStar and Matt Lande. I am extremely excited to see what we can do with this! CAROL: Other than the scriptures, it’s hard for me to pinpoint a certain book because there are so many that I enjoy, but when I think of a favorite, it’s more an author. When I was in high school, I loved Victoria Holt books because they introduced me to castles on the mysterious moors of England and when I pondered where to begin DarkStar….that’s where it began….in a castle on the moors of England. Her books go back as far as 1960 when she released, “Mistress of Mellyn” and have given readers many years of enjoyable reading. I still love to get lost in one of her books. ANTHONY: Thanks again, Carol, and good luck with the book and the sequels! You can follow Carol on Twitter as @DarkStarDreamer, find her on Facebook, visit the book’s website and Carol’s blog, and order the book from CreateSpace or on Amazon.